Get your hip hop clothes. Go to a toy store to buy some if you don't have some already. Go for something baggy. Make reference to existing hip hop artists if you're confused. Get some chains. If you have one, then all you need now is chains. Adding chains in your teddy dress makes it more cool than hip-hop. You can find some chains in a store, or just find a small old chain. 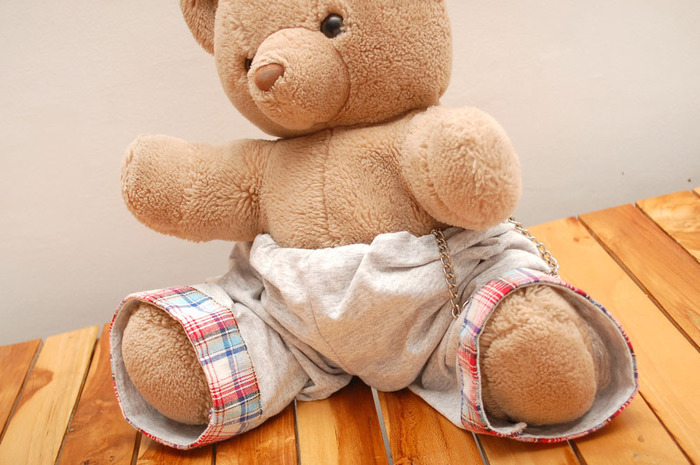 Dress up the bear in the hip hop clothes and think of where you want to put those chains. Sew or clip them on, so they won't fall off.